With his parents, as an infant, Richard Dennehy immigrated from Ireland to Melbourne in 1855. As was educated at the Jesuit College, Melbourne, and at 16 commenced an articled apprenticeship with Tappin & Gilbert. He then became a partner of the firm which eventually became Tappin, Dennehy & Smart. They specialised in designing commercial, residential, Catholic buildings and hospitals, their interests focused in Sydney, Melbourne and Ballarat. In May 1877 Richard married Marian O’Halloran at St Patrick’s Cathedral, Melbourne. They had three sons and four daughters between 1878 and 1893; with one son dying in infancy. In the late 1880s they moved to Sydney. Economic conditions in NSW became difficult due to recession and, fighting bankruptcy and chasing a fresh start, Richard relocated his family to Western Australia in 1896. 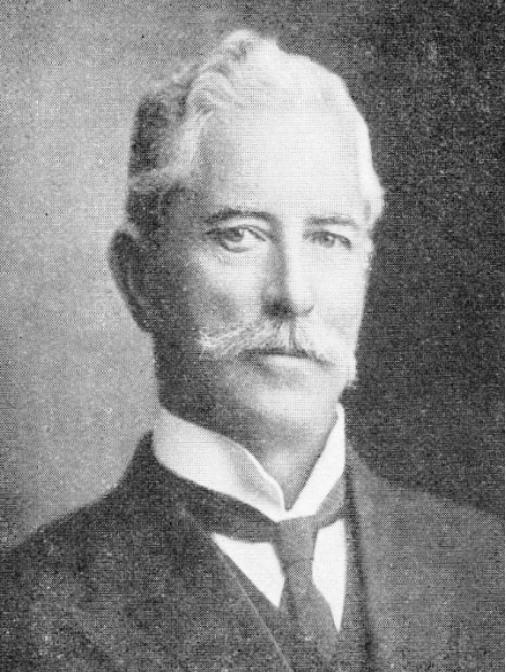 In around 1897 he commenced private practise with his office at Shenton Street, Menzies and immediately won second place (and £10) in a competition for the successful design of a new hotel at Kalgoorlie. He was widowed when Marian died suddenly on a visit to Melbourne in 1903, and moved in 1910 with his family to his home, Joyous Gard, at 67-69 York Street, South Perth. In 1916 he remarried to Gertrude Eliza Coombe, 32 years his junior. Richard Dennehy was one of only a few practicing Catholic architects (others were M F Cavanagh and E J Henderson); the rest were predominantly Protestant. He produced a significant amount of Catholic order buildings, including schools and hospital facilities. Dennehy also owned land at the other end of York Street, South Perth, which he sold to the Sisters of St Joseph in 1914 for £3,000. He then designed St Joseph’s Convent, the principal building of which became the Provincial Offices for the Sisters and is now known as Dennehy House. In Perth, for the Catholic Church, he designed the Home of the Good Shepherd, Leederville (1898), the Church of the Sacred Heart, Highgate (1906), and churches in Armadale (1912) and Osborne Park (1914), and the Convent at Highgate (1914). Among his many commercial designs is the Moana Cafe (1908) in Hay Street, which he claimed was ‘acknowledged from an architectural point of view to be the finest building of its kind in the Commonwealth’. He also designed Levinson and Company’s jewellery establishment; the Clarence Buildings, Hay Street; The Morning Herald offices (1907); The Sunday Times’ offices; Government Immigration Depot; portions of St John of God Hospital, Subiaco; Grand Theatre in Murray Street (1916); additions to the Stanley Brewery; half a dozen Highgate residences (1905); the Helena Vale Race Club; the Industrial School at Leederville (1909); Tattersall’s Club, Perth; and other business houses, hotels, warehouses and private residences in Perth and further afield. The Architects Act of Western Australia 1921 received formal assent in 1922, and Dennehy FRIAWA duly registered (No: 33) with the Architects’ Board of WA the same year. He was still working in his late 70s when he and Gertie were involved in a car accident near Serpentine in 1932. They both survived but it slowed him down and within a few years he had ceased practising. Richard Dennehy died on 2 February 1939, aged 85. He was buried in the Catholic section at Karrakatta Cemetery.